The M5F90 face mill from Sandvik Coromant is reported to provide significant gains for automotive part manufacturers by enabling roughing and finishing in a single operation. Photo courtesy of Sandvik Coromat. The two-in-one tool is designed for machining thin-walled aluminum automotive parts without burring, scratching, or chipping. Sandvik Coromant has introduced a new face-milling cutter that is designed for machining thin-walled aluminum automotive parts without burring, scratching. or chipping. The patent-pending M5F90 cutter is a two-in-one tool designed to enable roughing and finishing in a single operation, delivering shorter and more efficient machining strategies, the manufacturer said in a press release. The M5F90 cutter body diameter (25–80 mm, 0.98–3.15 inch) carries brazed PCD inserts that need no adjustment and enable high feed rates without vibration, offering users the potential for considerable time and cost savings. 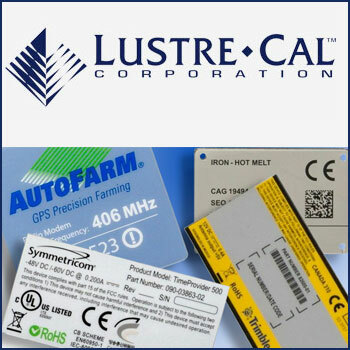 No scratches, burrs or breakages are produced on the machined part due to a combination of cutting angles, insert shape, edge preparation, and cutting parameters. Roughing and finishing operations are facilitated by a single tool, saving on inventory costs. 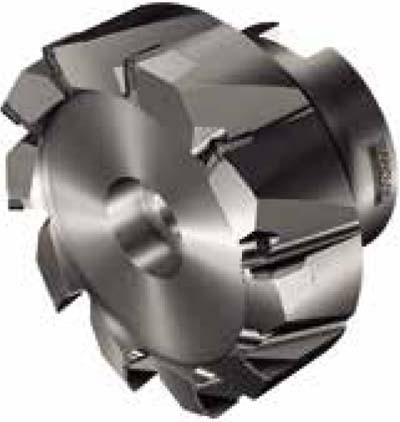 For roughing, the tool works as a conventional cutter, with all rough-cutting edges positioned on the same diameter and height. The M5F90 reportedly can machine up to a 4 mm (0.157 inch) depth of cut. The finishing portion of the tool consists of radial and axial stepped cutting edges. Such a configuration is said to ensure burr-free milling and outstanding surface finish on thin-walled aluminum parts, while enabling a close pitch in order to avoid cutting vibration. The tool is also environmentally friendly due to its low coolant consumption, said Philippe Andre, global automotive application engineer. Although dedicated to thin-wall milling operations on aluminum parts, such as gearbox casings and housings, the M5F90 is also able to machine large engagement material for applications across the automotive segment, the company said.